This is our Lemur design. 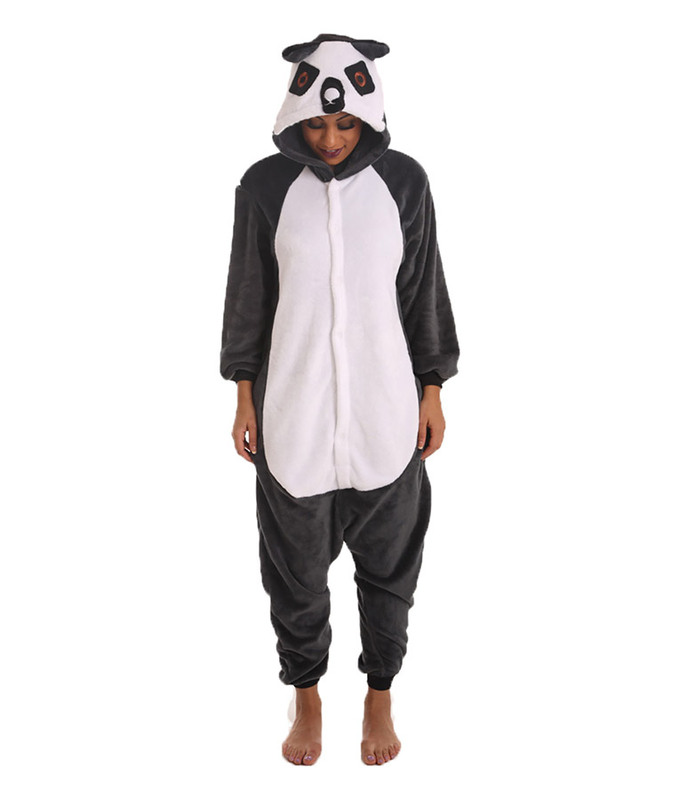 Our Lemur animal onesie has a soft grey body and white chest. The Lemur has big orange eyes and a long, black and white ringed tail which can hang loose or button onto the back of the funzoo so as not to get in the way.